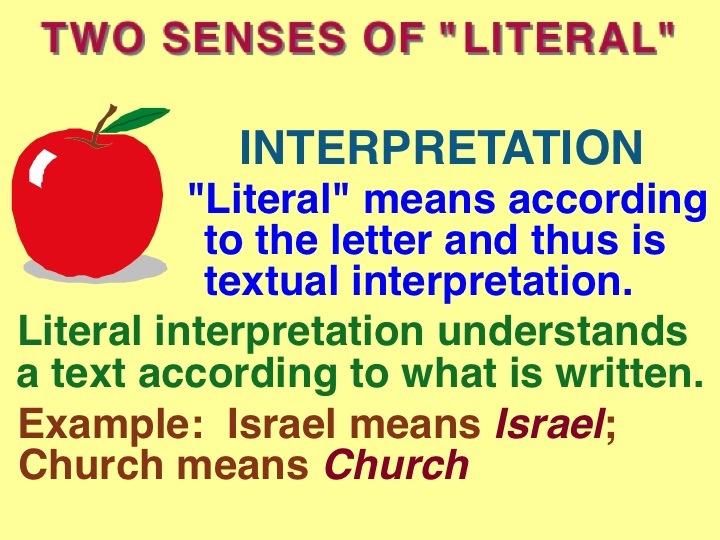 Keep this in mind: The interpretation of Scripture is an essential factor in understanding the Dispensations and Israel and the Church are two separate entities. The nation Israel as it appears in the Bible is not the Church of the Old Testament. For each dispensation there are 7 aspects. 3) Each dispensation has been provided a responsibility to God. 4) Each dispensation has been given a “Test” from God. 5) In each dispensation man has “Failed” the test. 6) For each dispensation God has provided a “judgment”. 7) God has provided a measure of “grace” for each dispensation. Further, a new covenant is often the basis for a new dispensation. God spoke to the Magi through the prophet Daniel to let them know 600 years earlier that His Messiah would be coming. Daniel was the prime minister of Babylon during two successive administrations; the Babylonians and Media-Persia. God wants us to know Him and enjoy His glory. The intent of the physical universe is to declare and display the majesty and glory of its Creator. This discussion will reveal a portion of His will in this regard. Then Herod privily called the Wise-men, and learned of them exactly what time the star appeared. And he sent them to Bethlehem, and said, Go and search out exactly concerning the young child; and when ye have found him, bring me word, that I also may come and worship him. And they, having heard the king, went their way; and lo, the star, which they saw in the east, went before them, till it came and stood over where the young child was. 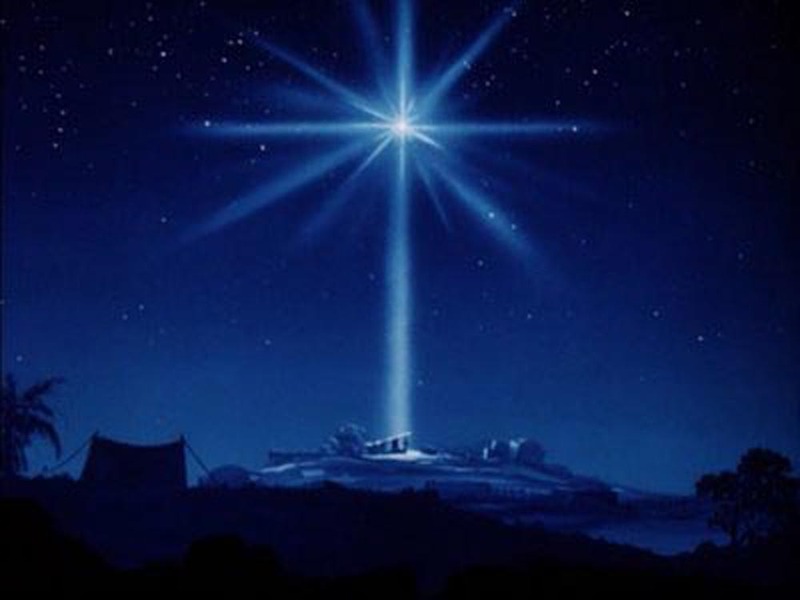 And when they saw the star, they rejoiced with exceeding great joy. And they came into the house and saw the young child with Mary his mother; and they fell down and worshipped him; and opening their treasures they offered unto him gifts, gold and frankincense and myrrh. And being warned of God in a dream that they should not return to Herod, they departed into their own country another way. The star they saw guided them to Jerusalem (east to west) and then on to Bethlehem (north to south). This was a special star identified as “His Star.” This star appeared to them while they were in the east and they knew that it signified the Christ or Messiah had arrived. God uses the stars in the heavens to bring messages to the world about Himself. In this study we will explore how God uses the stars to communicate to us and then we will conclude with a discussion of the special star of Bethlehem. We must always remember that Satan has corrupted God’s message to us and the message in the stars is typical of that corruption. Nevertheless Christ told us to search the Scriptures (John 5: 39). This we must do to understand what God wants us to know. On the fourth day of creation God made the stars in the heavens. Genesis 1: 14-18 And God said, Let there be lights in the firmament of heaven to divide the day from the night; and let them be for signs, and for seasons, and for days and years: and let them be for lights in the firmament of heaven to give light upon the earth: and it was so. And God made the two great lights; the greater light to rule the day, and the lesser light to rule the night: he made the stars also. And God set them in the firmament of heaven to give light upon the earth, and to rule over the day and over the night, and to divide the light from the darkness: and God saw that it was good. One of the reasons for making the stars in the heavens was for a sign. A sign signifies or represents something. 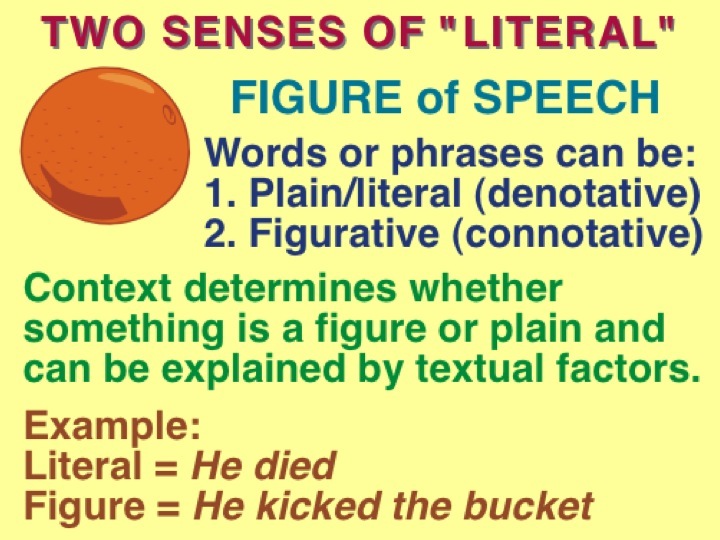 One dictionary defines a sign as: An object, quality, or event whose presence or occurrence indicates the presence or occurrence of something else. Signs therefore, are meant to lead one to something else. The sign itself is not the end meaning. It is the method employed to direct our attention to something else. In the stars God is the direct object the signs point to. We should realize that His entire creation which theologians call “general revelation,” speak to Him and coming from Him. In fact God charges all mankind to know Him through the ‘signs” He has provided. God is trying to tell us things about Himself through the stars in the heavens. The heavens declare His creative output. The heavens declare the glory of God; and the firmament shows his handiwork. Day unto day utters speech and night unto night reveals knowledge. There is no speech nor language where their voice is not heard. Their line has gone out through all the earth and their words to the end of the world. In them he has made a tabernacle for the sun, which is like a bridegroom coming out of his chamber, and rejoices like a strong man to run it’s race. It’s rising is from one end of heaven, and it’s circuit to the other end; and there is nothing hidden from it’s heat thereof. This psalm of David announces that the heavens declare the glory (splendor) of God’s handiwork. Verse one is a summary statement: the majestic Creation is evidence of the even more majestic Creator-God. The heavens continually (every day and every night) display the fact that there is a Creator. Even though Creation does not speak audibly as humans do, its message goes out for all the earth to witness. The message from nature about the glory of God reaches all nations, and is equally intelligible to them all. It is a universal language. Isaiah 40:26 Lift up your eyes on high, and see who hath created these, that bringeth out their host by number; he calleth them all by name; by the greatness of his might, and for that he is strong in power, not one is lacking. God wants us to see Him through these stars. He is not in the stars, as some would believe. He created them. He wants us to realize just how powerful He is. God, who cannot be compared to anyone or anything knows everything about His Creation and sustains it. In His strength He created and also controls and sustains millions upon millions of stars, each one of which He, amazingly, has named. In Isaiah chapters 40-66, God is revealed as the Creator and Maker. He does not want us to worship the stars, as in astrology (Isaiah 47: 13-14; Deut. 4: 19; 17: 2-5; Isaiah 47: 13-14). He wants us to worship Him. The psalmist also tells us that God has provided names for the stars as well as knowing exactly how many there are. He is clearly demonstrating His sovereign control over His creation. Psalm 147:4 He counteth the number of the stars; He calleth them all by their names. Isaiah 40: 26 Lift up your eyes on high, and see who hath created these, that bringeth out their host by number; he calleth them all by name; by the greatness of his might, and for that he is strong in power, not one is lacking. Since God has created the heavens and the stars as signs pointing to Him and His message for us it should not be surprising that Satan has corrupted it along with the rest of God’s creation. The specific signs that the stars told have been obscured with satanic corruption. The Jewish historian, Josephus, attributes the origin of astronomy to Seth, the third male offspring of Adam after Able and Cain. (Antiquities of the Jews, Chapter 2:3). Seth was born when Adam was 130 years old. He further refers to Seth as virtuous and of excellent character, and reports that his descendants invented the wisdom of the heavenly bodies (astronomy). The Hebrew word for the constellations is Mazzaroth. We see this word in the plain text of Scripture. The first appearance of the word is in Job chapter thirty-eight. God is having a discussion with Job. In order to demonstrate Job’s weakness as a man compared to the power of God He uses the constellations as an example. Job 38: 31-33 Canst thou bind the cluster of the Pleiades, Or loose the bands of Orion? Canst thou lead forth the Mazzaroth in their season? Or canst thou guide the Bear with her train? Knowest thou the ordinances of the heavens? Canst thou establish the dominion thereof in the earth? Job is the oldest book in the world. It was written during the period of the patriarchs who lived at the time of events of the book of Genesis. It clearly shows that God had named the constellations by that time. The Zodiac of astrology was originally the Mazzeroth of Job 38. It got corrupted like all things beginning with the fall. Then the worldwide communication disruption at the tower of Babel caused all human communication to become corrupt. Satan will use any circumstance to corrupt what God is doing. He had willful servants in Nimrod and his followers attempting to reach for heaven. The signs of the Mazzeroth are not figures in the sky. They are actually a set of stars with names that mean the figure that they describe. We are not to follow the Zodiac and its perverse soothsaying however, we are instructed to be neither afraid of the message of the stars. Jeremiah 10: 1-6 Hear ye the word which Jehovah speaketh unto you, O house of Israel: thus saith Jehovah, Learn not the way of the nations, and be not dismayed at the signs of heaven; for the nations are dismayed at them. For the customs of the peoples are vanity; for one cutteth a tree out of the forest, the work of the hands of the workman with the axe. They deck it with silver and with gold; they fasten it with nails and with hammers, that it move not. They are like a palm-tree, of turned work, and speak not: they must needs be borne, because they cannot go. Be not afraid of them; for they cannot do evil, neither is it in them to do good. There is none like unto thee, O Jehovah; thou art great, and thy name is great in might. The signs of the Mazzeroth are not figures in the sky. They are actually a set of stars with names that mean the figure that they describe. If you look at the pictures that astrology says the stars depict you will require a vivid imagination to see the pictures they allegedly describe. This is the corruption. This is not the message that God created for a sign in the heaven with the Mazzaroth. There are twelve constellations in the Mazzaroth. Each of them has three sub-constellations called decans. There are a total of forty-eight sets of stars bringing forth God’s message to us. Each constellation has a message and so do each of the decans. 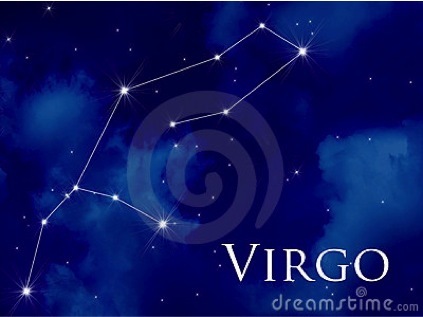 It is the names of these stars and star groupings through which He communicates His message. The problem we have discerning the message is that it has been corrupt for so long that we don’t have accurate information regarding its nature. 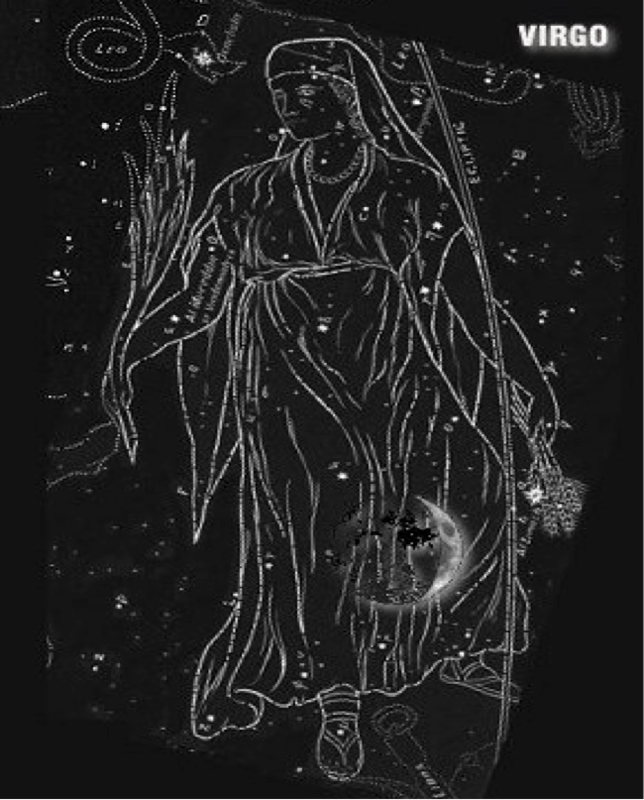 The ancient Egyptian name for this constellation was Shes-nu, the desired son! Some view the constellation of Coma in which “the Star of Bethlehem” appeared. There was a traditional prophecy, well known in the East, carefully preserved and handed down, that a new star would appear in this sign when He whom it foretold should be born (Numbers 24:17). German astronomer, mathematician and writer, Johannes Kepler in 1607 believed he identified the Christmas star that guided the Magi or “Wise Men” to where Jesus was born, and with precise event and date. To Kepler the “Star of Bethlehem” was a planetary conjunction of Jupiter, Mars and Saturn in the evening sky, described to mean a close approach of planets in the sky. Many others have struggled to find natural explanations for the star. The fact that God controls all things in all times and all places leads us to look to Him for an explanation. Therefore it must be an appearance of the Shekinah Glory. Meeting with Abraham as a smoking furnace. To Moses as a burning bush. During the Exodus as a pillar of fire and a cloud. On Mount Sinai as a cloud, thunder and lightening as well as a trumpet. A kind of visible manifestation to Moses said to be His back. Dwelling within the Tabernacle and Temple and lighting the brazen altar in the Temple as fire coming down from Heaven. To the shepherds and the Magi as the Christmas Star. He also came as flesh (John 1: 1-14) in the body of Jesus. At the Transfiguration as a white lit Jesus. Tongues of fire to the apostles. Bright light on the Damascus road to Saul. Smoke in the Tribulation Temple from Revelation 15:8. At the Second Coming as Matthew 24:30. In the Millennium as the Risen Jesus ruling the world (Ezekiel 43: 1-7a). In the Eternal Order as seen in revelation 21: 1-3; 10-11 and 23-24. After the Shechinah Glory appeared to the shepherds announcing the birth of Jesus the Messiah it next appeared to the Magi. The star led them to Israel. It appeared to them on at least two occasions. It led them from the east to the west and from the north to the south. It finally stood over the very house where the child Jesus was; and was unique to Jesus and no other. Coming in the form of special light this was a physical manifestation of the Shechinah Glory announcing the birth of the Messiah to a group of Gentiles from Babylonia.